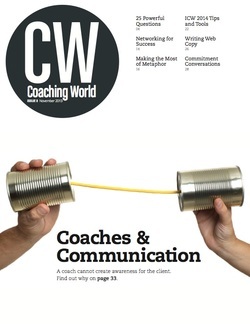 _The Communication Cure, by Joy Goldman, published in Coaching World, Issue 8, November 2013. This article discusses the use of coaching as part of physician leadership development within healthcare. Viewfinder Coaching & Consulting can help you deal with current and emerging challenges! This is an excellent article on the need for a shift in mindsets and a focus on development along with a focus on competencies and skills. Follow the link to read more of this great work by the Centers for Creative Leadership! Bolster, C.J., and Fralicx, R. (2013). Making Great Physician Leaders: Understanding Self Image Hospitals and Health Networks. September 19th. Healthcare Finance Magazine, December 2nd. Barnhart, G. (2011) Physician Whiplash: Going from Great Medicine to Great Leadership. O'Brien Group, Cincinnati, OH. Denson, J., and Ferry, J. MD (2012). Physicians in the C-Suite. Hospitals are looking for a new kind of leader but are today's Docs ready? Trustee Magazine. Health Care Advisory Board: "Three Imperatives for Building the High Performance Employed Medical Group." "Joy has helped me find my inner confidence by many techniques stemming from where you sit, how you sit, tone of voice, and the content of what you say. It allowed me to "take control" of a meeting and direct the meeting. She actually came down and observed me in action, and offered valuable and practical feedback to allow me to be more effective." Physicians are used to thinking independently; acting quickly; identifying problems and being sought for their solutions and interventions. Physicians are being welcomed at the executive table yet find that the language that is being spoken is different from what they know well. There are many opinions and more than one right answer. How to navigate it all? Empowered Physician Leaders combines the best of leadership development with leadership and physician coaching to help you achieve and sustain results: results that support the best in patient care, healthcare delivery, quality, and growth. Our model is similar to the medical model: We start with assessments that help to identify strengths; risk of overdone strengths; Values that influence your actions; and 360 degree feedback processes that help you understand how you are perceived by those you need to influence. We know that you don't have time to tackle world hunger: We will partner with you in creating a development plan that has targeted development in a few areas. We support you in your practice of new leadership behaviors and provide a safe and confidential place for debriefing what worked and what didn't. We WANT YOU TO FAIL.... because it means that you're going out of your comfort zone and learning more effective ways to communicate, collaborate, manage conflict, create accountability, and achieve results. Click on this link to be taken to our conceptual framework. Click on the following link to be taken to our physician only website. Interested in hearing more? Please complete the form below and one of our coaches will get back to you within 2 business days.